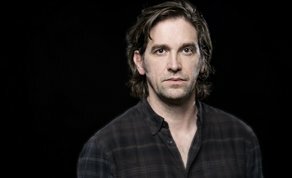 IFTN caught up with Owen McDonnell to find out about his up and coming projects, what he is most looking forward to in 2018, and what career he would have found himself in had he not pursued acting. Irish actor Owen McDonnell is based in London, and is best known for his work in BBC dramas ‘My Mother & Other Strangers’ & ‘Paula’, TG4’s ‘An Klondike’, and Sky Livings’ ‘Mount Pleasant’. Owen is also well established in theatre, appearing in a number of Irish plays including ‘The Plough and the Stars’, ‘A Doll’s House’, and more recently ‘The Ferryman’. McDonnell was nominated for the Irish Academy’s Best Actor in a Leading Role Television, for his performance in RTÉ’s drama ‘Single-Handed’ in 2011. His up and coming projects include BBC America’s ‘Killing Eve’, which has been well received ahead of its third episode – airs Sunday, April 22nd. IFTN: What are the best and worst aspects of your work? IFTN: What career do you think you would have if you weren’t in the film/tv industry, and why? Owen: I don't get to see as much film as I'd like (kids keep me busy), but I definitely cried when Fiona Glascott's character died in Brooklyn - seemed so unfair. IFTN: What are you most excited about for 2018? IFTN: Was there a particular scene or part you learnt by heart for auditions starting out? Owen McDonnell is on Twitter – here.